You need to find employment in a relevant role in order to undertake an apprenticeship. You should have good GCSE grades in Maths and English and ideally two good A levels. Anyone can apply, provided you are eligible to work in the UK and are not currently studying for any other qualification. Most apprenticeships will last 18-24 months. Level 3 apprenticeship culminating in the AAT Advanced Diploma in Accounting with a portfolio of work based evidence assessed by a reflective discussion. Most students will also complete the Foundation Certificate in Bookkeeping or Accounting as part of their apprenticeship and should complete the award within 18 months. All our AAT apprenticeships are priced within the funding cap of £9,000. Non–levy paying employers are required to contribute 10% of the agreed fee, with the government funding the rest. Larger employers will have the fees taken directly from their levy pot. Exam fees and AAT registration fees are not covered by the funding, nor can the cost of resits be passed on to the apprentice. 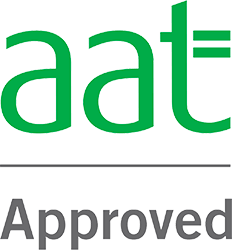 Level 4 apprenticeship resulting in full AAT qualification, with evidence portfolio assessed by a reflective statement. Apprentices may also study the Advanced Diploma and complete the apprenticeship within 24 months. A series of skills workshops ensure apprentices are ready for the workplace. If you have not yet found an employer we will not be able to sign you up until you start suitable employment. Our College will do everything we can to help you find suitable employment for your Apprenticeship, but it is also up to you to try and find a suitable position. You might like to view our current vacancies, as some local employers advertise vacancies for apprentices. All apprentices must receive the appropriate national minimum wage for any learner of any age in their first year of their apprenticeship. All apprentices should work for at least 30 hours a week, apart from in exceptional circumstances. If you are not sure if Apprenticeship is the right choice for you, a Traineeship could be an ideal option. Traineeships are aimed at young people who might not feel ready for the world of work. A Traineeship will equip you with the skills to progress to a full Apprenticeship or you could get a new job or go for further studies. Traineeships are an excellent opportunity to get real world office experience greatly enhances your cv. It also gives you an idea to find out your suitability for a particular role without having to commit. With a Traineeship, instead of getting a full time job or Apprenticeship, trainees get work experience placements which help them to prepare for getting a real job or Apprenticeship. Work Experience duration is 100 to 200 hours and employers can reimburse you travel and food expenses or its further negotiable depending upon your circumstances and capabilities. Trainees also undertake a range of compulsory qualifications in Maths and English (unless you already have those at GCSE). They also attend specific Employability Workshop training that equip them with the skills to fit in a workplace. Traineeship can take up to 6 months to complete.